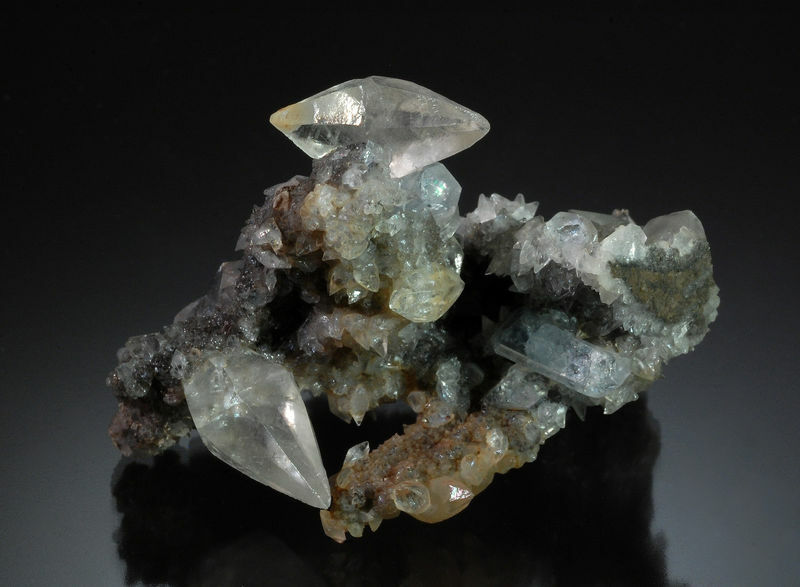 Colorless scalenohedral crystals to 1.5 cm on limestone matrix with pale blue celestite. This is one of the earliest specimens in my collection. 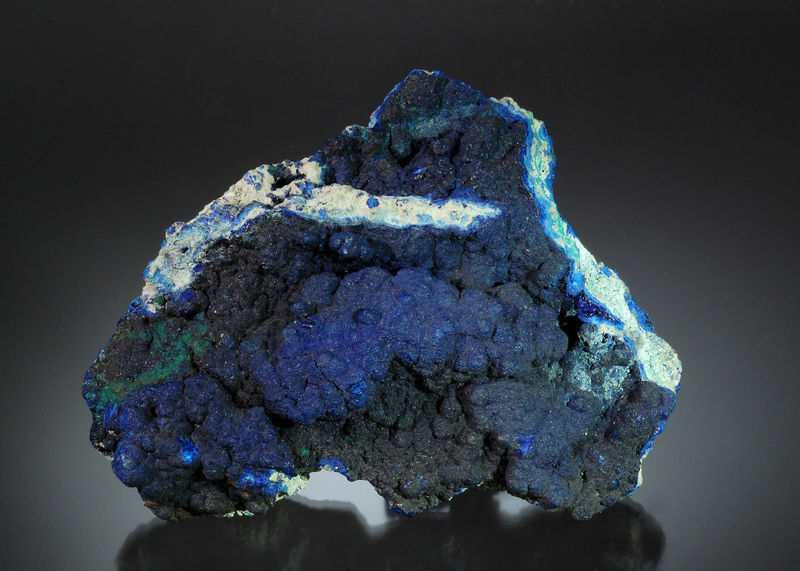 Dark blue botryoidal azurite with minor malachite. Another very early piece in the collection, dating to 1961. The last couple of days I spent some time reviewing photos of the earliest specimens in my collection. Most were photographed about15 years ago, and many do not measure up to today's standards, so I am gradually replacing them with better images. 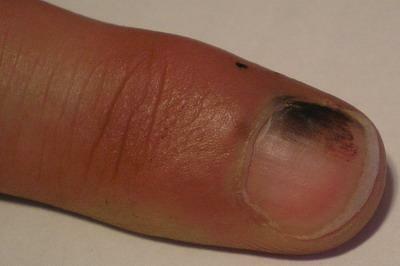 Photos of the last two specimens are the results of this effort as will be the following few. Two blue-gray octahedral fluorite crystals to 5.6 cm on edge with flattened rhombs of colorless calcite. 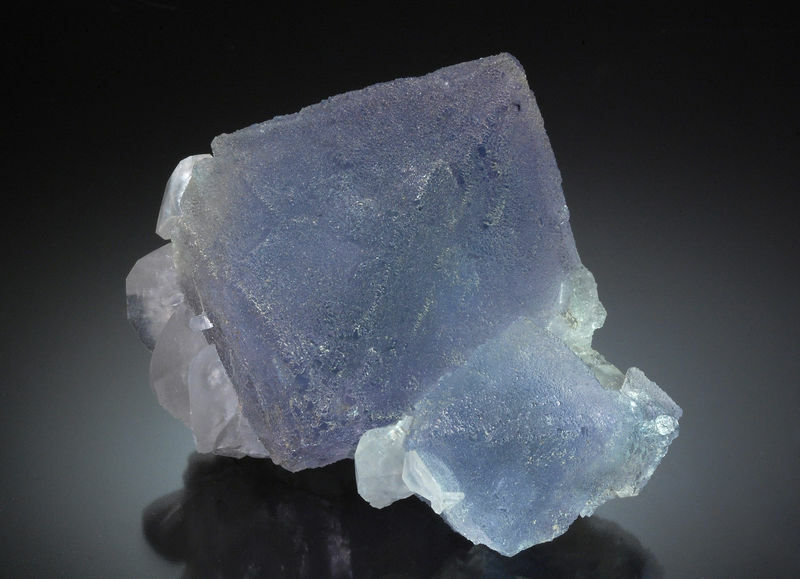 The fluorite has a frosted luster resulting from tiny stepped faces and the interior contains a green core. 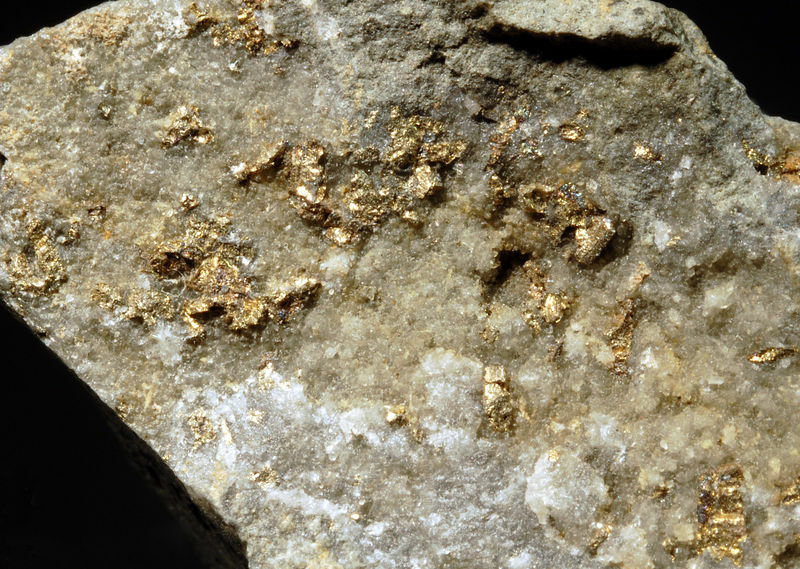 Bright, gold-colored, striated sylvanite crystals to 2 mm with druzy quartz from the Cresson Mine. I have been interested in minerals from Romania for the past 30 years, and one of my largest sub-collections is minerals from the Maramures region in northwest Romania. 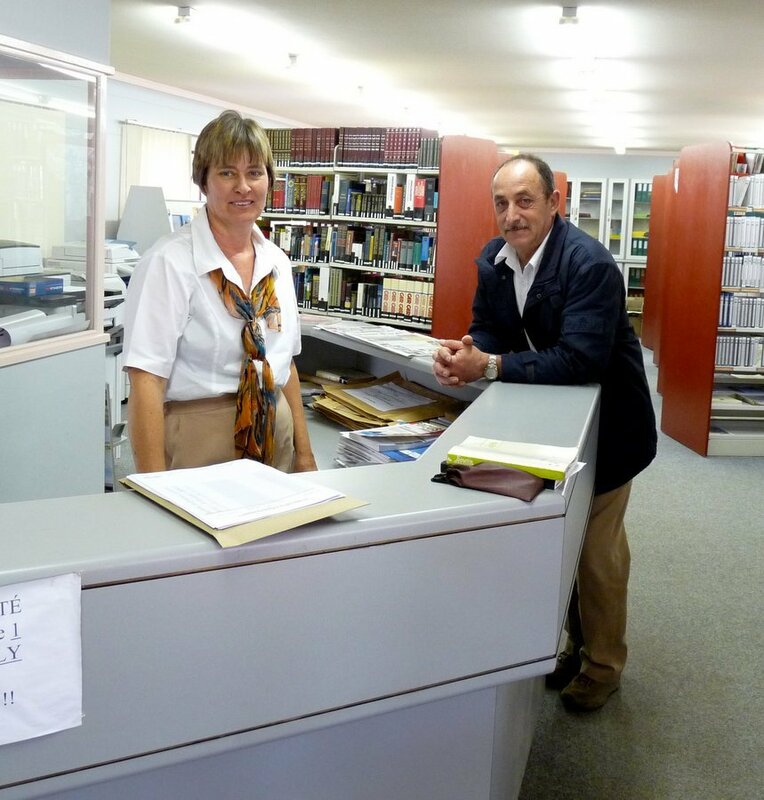 In Tucson this year, I was delighted to find several Romanian specimens to add to my collection. One of the FMF members will no doubt recognize the piece shown below as it was once part of his collection. I hope he is happy it went to a good home. Creamy white to pale tan elongated calcite crystals. 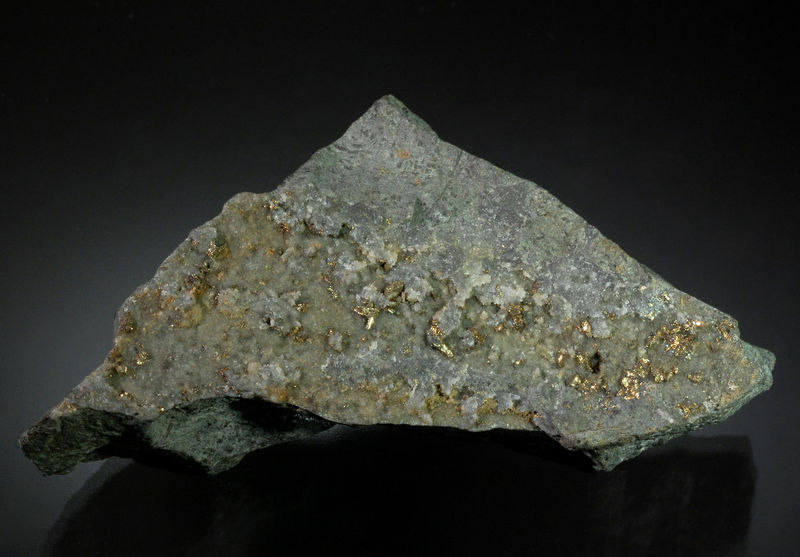 The bottom of the specimen consists of black sphalerite and brassy pyrite. 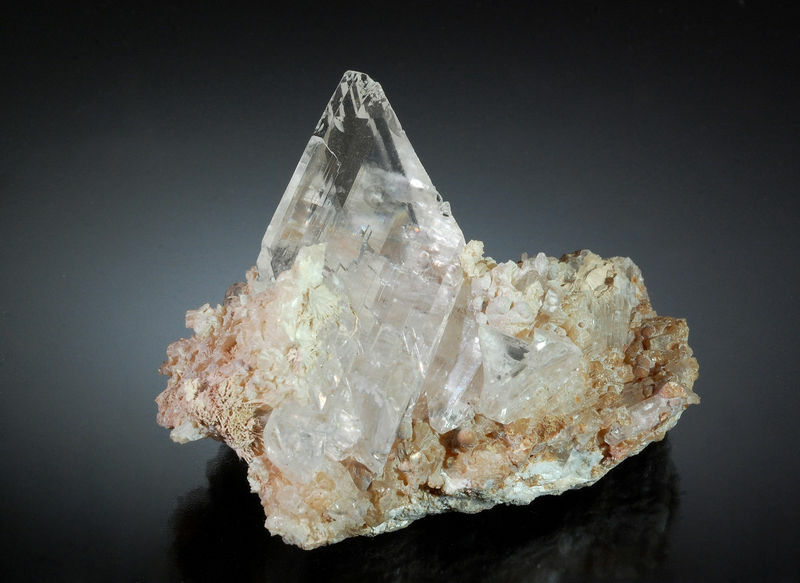 An intergrown group of pale pink scalenohedral calcite crystals with a secondary overgrowth of tiny colorless scalenohedral calcites giving the specimen a frosted appearance. 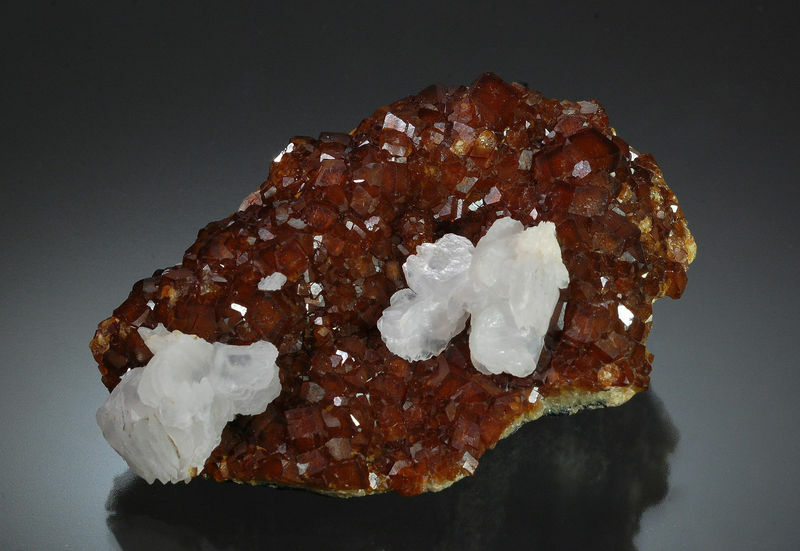 Sharp reddish brown andradite crystals to 0.7 cm with rhombic white calcite crystals on a matrix of hematite/magnetite. 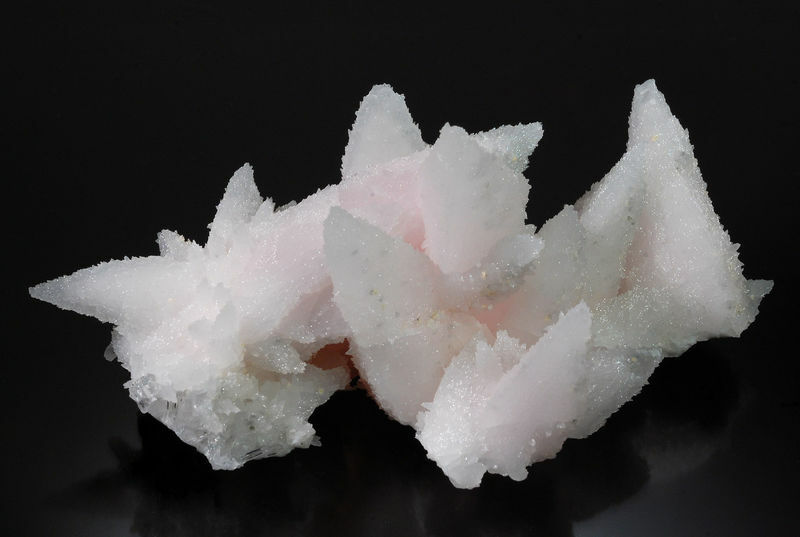 Colorless transparent gypsum crystals to 4.5 cm on a creamy white/pink matrix of prehnite and gyrolite. 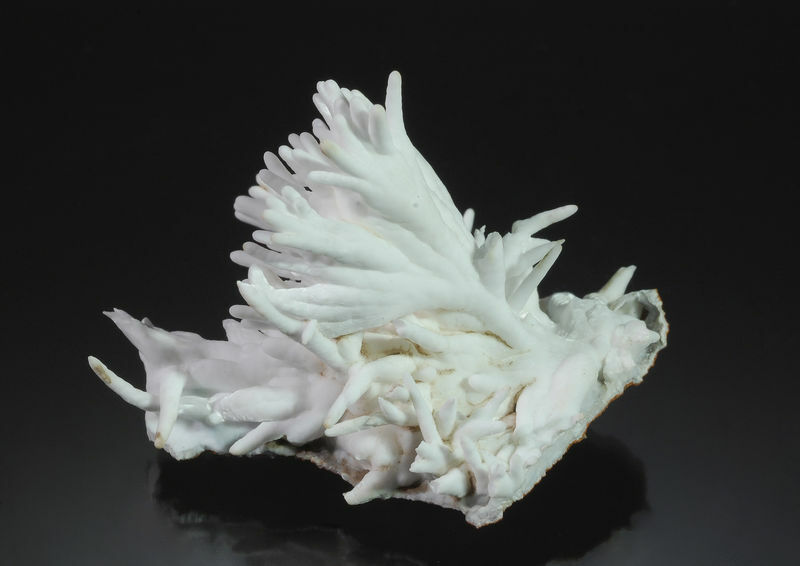 There are also small acicular crystals present, perhaps mesolite or scolecite. It is an honor that you can enjoy this piece of Romania, as I have enjoyed it, in the last 18 years. Thank you Enrique. I am also enjoying this specimen which you will recognize. 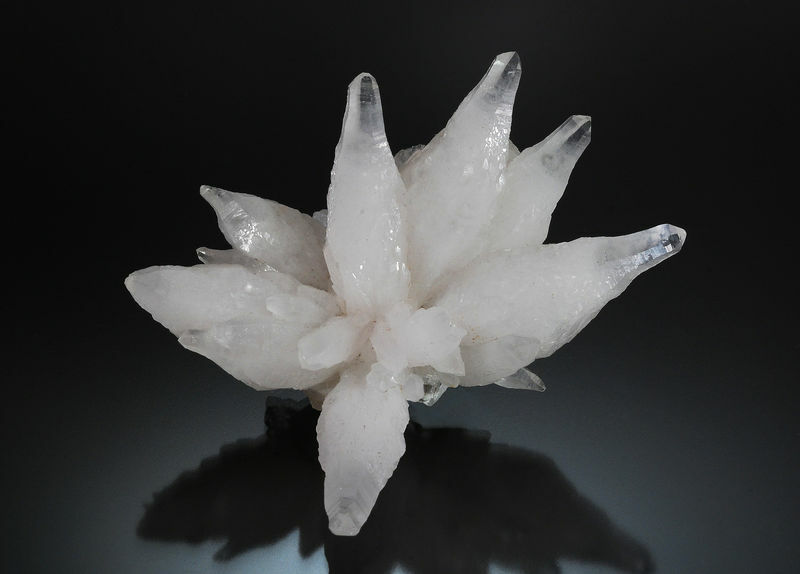 A divergent group of milky white quartz crystals with transparent reverse-sceptered terminations. I also wanted to mention the high quality of the photos, as usual. This is such a beautiful specimen, Michael, my favourite among your recent posts. Simply perfect! Thanks Tobi. The mines in this district exploit skarn type deposits and minerals from the Ocna de Fier area are much less common that those from Maramures. The specimen is from a European collection and I was delighted to find it this year in Tucson. 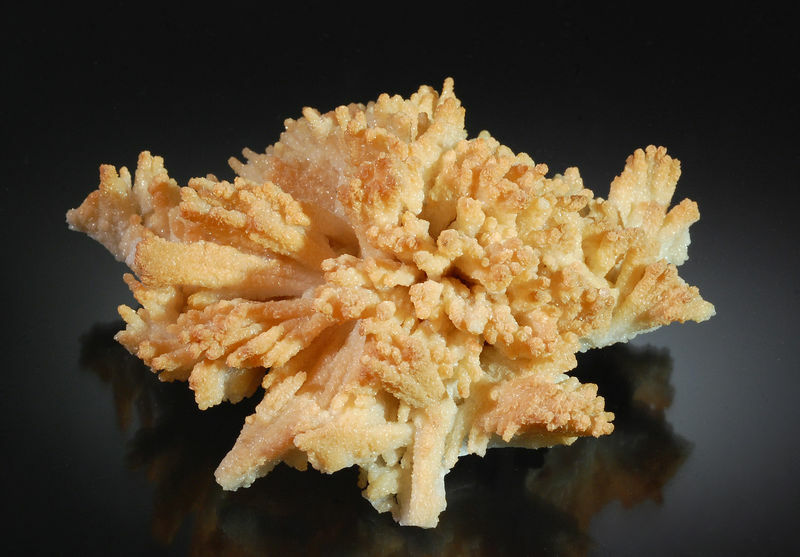 An aragonite that resembles a sea anemone.